What makes wedding photographs great? Everyone can look at a photo and fall in love with it, but sometimes it may be difficult to put your finger on exactly what it is that makes you love a particular photo. 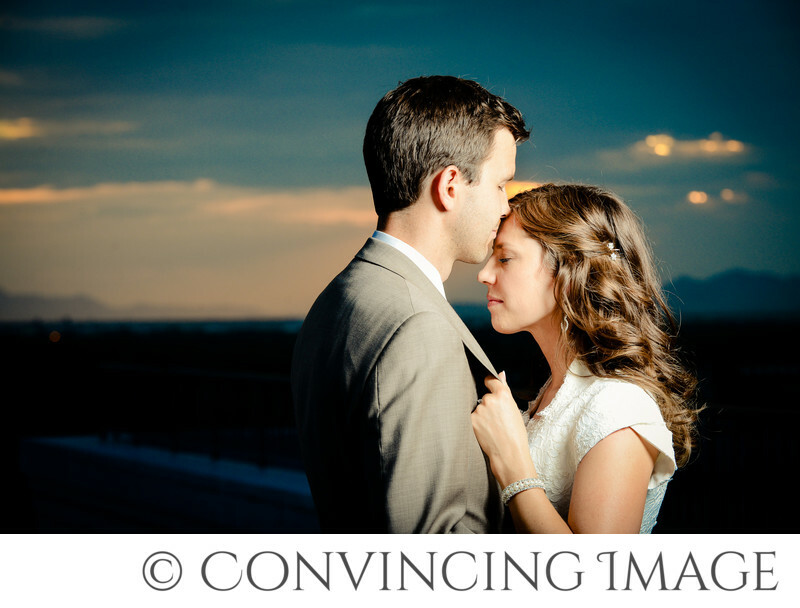 Here are a few things to consider when choosing a wedding photographer: 1. Are the photographer's images sharp? Everyone loves blurry backgrounds, but if the subject of the photo is not sharp, it won't impress. Eyes should generally be the focus point of a portrait and at least one eye must be sharp. (We zoom in on each of your images to make sure we can count eyelashes.) 2. Do the photographer's images have a 3-D appearance or are they flat? Are there light and shadowed areas creating depth? Does light fall on the subject's face from a direction away from the camera creating pleasing modeling shadows? Off-camera flash lighting allows a good photographer to make your photos flattering when natural light is not ideal. 3. Are there compositional elements that grab your attention? Does the photo utilize foreground - something closer to the camera than the subject - to create depth? Are there lines (eg. A fence, sidewalk, power lines, trees) to create more depth and/or drawing your eyes to the subject? Are there elements in the photo that frame the subject in a pleasing way? At Convincing Image Photography, we strive to create beautiful wedding photos for brides and grooms in Utah, that will become a treasure for the couple and their families. 1/200; f/9.0; ISO 320; 116.0 mm.